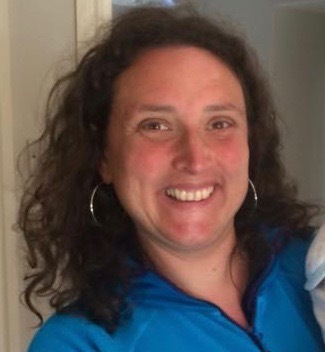 We are delighted to welcome Dr Niki Kaiser, Network Research Lead at Norwich Research School, to our blog series in which teachers involved in research give us their take on educational neuroscience. Neuroscience helps me to link the ‘art’ of teaching to the science behind approaches that help me be a more effective teacher. Neuroscience is the science behind the ‘natural flair’ that great teachers appear to have, and it helps explains the mechanisms that help make learning more memorable. It isn’t enough for me simply to be told how to apply approaches because “they’re evidence-based”, however strong that research base might be. I believe it’s just as important to understand why approaches are effective. By understanding why approaches work, I can hone my teaching of each topic within specific contexts. For example, unless you understand why retrieval practice is effective, you might believe that it’s simply about asking students a few questions here and there. “Low-stakes quizzing: tick! I’ve now “done retrieval practice”! But knowledge of why retrieval practice works means I realise that it’s not just the questions or the quizzes themselves that are important, but rather the process of bringing information to mind. For example, for long-term retention, it appears to be more effective to retrieve information 70% correctly than to re-read 100% correct information (Smith et al., 2013). Understanding this can inform how and when (and why) you embed retrieval practice on a day-to-day basis. This understanding of why approaches are effective is where neuroscience comes into the equation, for me. Neuroscience helps us to understand how and why empirically-based approaches, grouped under an umbrella of the Science of Learning, are effective. And also how they might be developed further. Our school is an EEF research school. We receive regular news and updates via the Research School Network at meetings, via email, and through conversations with colleagues. Networks are important to me (see my article on this), and last year, I helped to form a group called #CogSciSci, an online peer-support network with over 500 teachers, who regularly share ideas and questions about applying The Science of Learning to science teaching. The teachers on this forum are an amazing and generous bunch, who constantly keep me on my toes as they point out things they’ve read, ask pertinent questions, and discuss key research. I can access research articles via my membership of the Chartered College of Teaching, and their recent edition of Impact on the Science of Learning was excellent. I also spend rather a lot of time of Twitter (! ), and find myself regularly disappearing down rabbit holes, as I follow up links and leads to interesting research. Signing up to email lists is another way to keep abreast of what’s out there. I receive regular updates from the Education Endowment Foundation and the Institute for Effective Education. An understanding of what we mean by learning, and how this links to the model of memory, has really helped shape my approach to planning and teaching. I now consider the limitations of working memory at all points, so I can better support long-term learning and retention. I understand the benefits of spaced review and retrieval practice, and of encouraging my students to develop automaticity, thus freeing up their working memory to process the more interesting, higher-level thinking needed in science. One of my rules of thumb when introducing new approaches is that it shouldn’t take me too far away from “business as usual”. And it shouldn’t increase my workload. So I embed research-informed ideas by tweaking what I do, rather than totally re-working everything. However, this demands a deeper understanding of the underlying research, so I particularly enjoyed the review by Weinstein 2018 as a very readable overview, and a gateway to further reading. It picks apart the “6 strategies for effective learning” from the Learning Scientists website and goes into depth about exactly what the research behind them does (and doesn’t) say. For example, they ask whether spaced practice can ever be effective enough to completely alleviate the need or utility of a cramming period, which is just the kind of question teachers ask themselves. And I like Karpicke, 2008, because the results are so striking. When you compare the re-test and re-study groups, and see how much more effective it was to re-test, it really hammers the point home that it is worth doing (despite students actually feeling less confident at the time, compared to the re-study group). This was explained particularly effectively by Efrat Furst who spoke at one of our Research School meetings last year. I do quiz students at the start of each lesson, which is a low-maintenance approach to retrieval practice, but I’m also careful to introduce as many opportunities as possible for students to think hard and work to bring information to mind. I also plan in spaced review opportunities via my normal class and homework activities, rather than reworking the entire curriculum. We are a Research School, and we share ideas via our newsletter and website. But we are very much of the mindset that “schools listen to schools and teachers listen to teachers”, so we are working hard to build a network of research-informed teachers in and around Norwich. We meet half-termly to share ideas and hear from others, and at a recent meeting, Dr Flavia Belham presented ideas around memory and learning. Within school, all staff meet in groups to discuss research and how to apply it, as part of our whole-school CPD system. We also have a school Journal Club, and various initiatives, such as a Research Bulletin summarising research and case studies of how it’s been applied in school. I have used Dunlosky’s toolkit to help encourage students to study more effectively, and this has helped them to move away from simply reading through their books and making beautiful notes towards more impactful study approaches. But I am careful to explain to them how and why certain strategies are more worthwhile than others, even though they might feel harder at the time. An understanding of the research helps me to sell these “desirably difficult” study approaches to them. 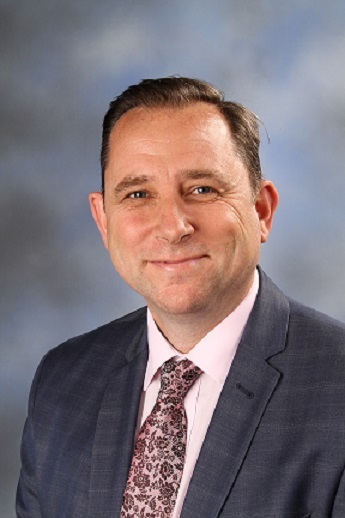 We are delighted to introduce Shaun Allison, Director of Durrington Research School and Head of School Improvement of Durrington Multiple AcademyTrust. His book, co-authored with Andy Tharby ‘Making every lesson count‘ outlines six key principles to support teaching and learning and you can also follow Shaun on Twitter @shaun_allison. We are very pleased to welcome him to our blog. As teachers we are in the business of helping students to learn, which requires a change in their long term memory. With this in mind it seems strange that as a profession in recent years we haven’t really embraced the fields of neuroscience and cognitive psychology to inform our practice. As a biologist and a teacher, it seems really important to me that if we are trying to facilitate learning, which happens in the brain, we should really try to use the evidence about how this works to inform what we do? Fortunately, the tide seems to be turning and there seems to be a gathering of momentum towards this research-informed approach to teaching. Which is great news. The challenge for teachers and leaders up and down the country, is taking these findings from research, which can sometimes be very lengthy and complex, and turning them into actionable strategies for busy teachers. This is what the work of the Research School Network is focusing on. Twitter is fantastic for this. There are a growing number of researchers and teachers on twitter who are very generous and share their thoughts on research and how to implement it in the classroom. Similarly, there are a huge number of researchers and teachers blogging about this. There are some great examples of this here. The EEF Teaching and Learning toolkit is a great starting point to find a summary of thousands of research papers, as are their guidance reports. Similarly the ‘Institute for Effective Education’ publish a fantastic fortnightly digest of the most recent research – Best Evidence in Brief. The ‘Research Schools Network’ are doing a fabulous job of helping teachers to implement the latest evidence from research in their classrooms, through training programmes, twilights, newsletters and their website. Conferences such as those organised by ‘researchED’ are a brilliant way to hear from teachers and researchers and are held up and down the country. It has added a clarity to how I teach and how I lead teaching and learning across the school. As a result, we disregard many of the myths and gimmicks that have permeated teaching in the last few decades and focus our attention on approaches to teaching that have a strong evidence base. For example, the importance of dual coding, elaborative interrogation, cognitive load theory and desirable difficulties at the explanation and modelling phase of teaching have all influenced our work. Likewise, we understand the importance of retrieval practice and spaced practice, in terms of supporting long term memory retention. Challenge so that students have to think deeply and have high expectations of what they can achieve. Explanation so that they acquire new knowledge. Modelling so that students know how to apply their knowledge (including explicit modelling of metacognitive strategies and the thinking processes of adults). Questioning so that students are made to think hard with breadth, depth and accuracy. Feedback so that students further develop their knowledge. Purposeful practice so that students think deeply and eventually achieve fluency. You can read about this approach in our book ‘Making every lesson count’. We spend a lot of time discussing these ideas as a team of teachers, and most importantly, how these ideas can be mobilised on a day to day basis. We use INSET days to share these ideas with the whole staff, but then department teams meet every fortnight and are expected to discuss how they will use these ideas to inform their teaching. In a large secondary school, it is essential that subject specialists are given the opportunity to contextualise these ideas in their subject. We hold half termly ‘journal clubs’ for our teachers, where they meet informally to discuss a particular research paper. We write and share regular articles on our school teaching and learning blog and our Research School blog about how teachers are using this evidence in their classrooms. As a research school we lead a range of training programmes and twilights to support teachers and leaders with mobilising this research. We send out a monthly newsletter to keep teachers informed about the most recent research. We also use assemblies and parental workshops to share these findings from cognitive science with students and parents/carers – in a way that is manageable for them e.g. supporting retrieval practice by using flashcards. This is then supported throughout the school year by various strategies e.g. a half termly memory challenge for all Y7 and then guided workshops and resources on how to revise effectively for Y10 and Y11. There is a huge body of evidence that exists around cognitive science e.g. we know that retrieval practice, spaced practice and dual coding are really important when it comes to learning. The focus now needs to turn to codifying these ideas into practical approaches that teachers can adopt on a day to day basis in their classroom, that are then rigorously evaluated and shared. This body of research research evidence will only be of any use if it is mobilised in classrooms. The direction of travel towards a more evidence-informed approach to teaching, is great for the profession and the young people we teach. Whilst research evidence can’t give us all the answers, it can tell us the ‘best bets’ in terms of the approaches to adopt, that are most likely to improve the learning of our young people. I think we have a moral duty to be doing this. The education of the next generation is too important to be left to chance. 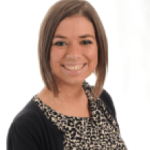 Next up in our blog-series where we chat to teachers about their experiences of accessing and using research: We are delighted to introduce Charlotte Hindley who is an assistant head and teacher from Platt Bridge Community School, and delivers professional development programmes both in the UK and internationally. 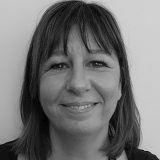 Charlotte also works as part of her local Teaching School Alliance, Westbridge, in a role co-leading Research and Development. Here, she talks about her experiences of using research in the primary setting. Thank you Charlotte for taking the time to answer our questions. Firstly, how do you keep up-to-date with the latest education research? Is it important to you whether the research uses particular methods (e.g. neuroscience, classroom-based)? I keep up to date with developments on the EEF website (https://educationendowmentfoundation.org.uk), and the Impact magazine from Chartered College of Teaching and Learning (https://chartered.college/journal). Regarding the type of research – neuroscience is a relatively new concept for me, so previously I would have been more interested if the research was classroom-based as I felt this held more accountability for pupils’ progress rather than those that were commercially-led e.g. testing a specific company’s product. Also personally taking part in National Teacher-led research into ‘Closing the Gap’ and more recently Neuroscience-informed teaching (using randomised control trials, or RCTs) enables me to use my own research. RCTs that we have led on have informed our teaching – we now use weekly spelling tests, as our own controlled trial showed this had a positive impact on pupils’ recall of their spellings. We also explored the use of multiple choice testing as a learning event which showed us that this is useful in conjunction with another method. We also use ‘Look, Cover, Write, Check’, based on RCTs led by other teachers. We have implemented interventions that involve 1:1 tuition and done smaller group/1:1 tuition rather than traditional whole class boosters for Y6 SATS based on EEF’s Teaching and Learning Toolkit. Impact on pupils’ progress (progress scores based on end of KS1 standardised scaled scores). Scores on tests (attainment scores); pupil voice and feedback. Feedback from teachers – teacher voice. What do you think researchers should focus on next (i.e. what are the gaps in our understanding, from a teacher’s perspective?)? Vocabulary gap in young children (Early Years/KS1) particularly in disadvantaged pupils e.g. not much conversation at home. What interventions could be in place to help accelerate vocabulary learning? Would supporting parents at home at an early stage with vocabulary and language acquisition be helpful? How can we narrow the gap between vocabulary of disadvantaged and other pupils? How can we improve reading engagement and focus? Parental support and engagement with this? Memory and recall linked to key facts e.g. times tables facts and spellings. Involve teachers more in the design process rather than emailing them to be part of an existing trial that doesn’t necessarily link to their School Improvement Plan and targets for improvement. Support teachers in leading their own research. Establish partnerships between PhD students/universities to support teachers with the design or analysis process. If you could share one piece of advice about research-informed practice with other teachers and trainee teachers, what would it be? See the value of it – it is not just an add on but can inform your practice IF you tailor it to link to your pupils’ needs, your classroom gaps, and school improvement plan priorities. The use of testing as a learning event helps pupils recall spellings. Two groups of pupils in Y6 in 2 schools (replicated in Y4) were involved, where one group of pupils did normal classroom practice for learning spellings (control), and the other group were told they would have a test at the end of the week on them too (intervention). The group who were told they would have a test as part of their learning had greater gains in their scores. The use of multiple choice testing as a learning event (based on retrieval practices from Neuroscience for Teachers textbook). Impact: Although all groups improved their scores, Intervention 2 was more effective than both Intervention 1 and Control. Control was more effective than Intervention 1. Children preferred using multiple choice testing than other method. As a result: We use weekly testing in every class throughout school, and we use multiple choice testing in addition to other methods but not to replace existing practice (it enhances but can’t replace).